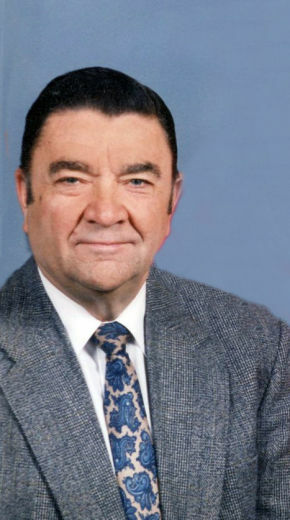 Joseph R. Kerestes, age 89, of Elmwood Park, NJ passed away on February 8, 2019 at home. Born and raised in Garfield, NJ, he resided in Elmwood Park since 1956. He proudly served with the National Guard for six years (1950-1956) and was honorably discharged with the rank of Sergeant. A faithful member of Our Savior Lutheran Church in Fair Lawn, he served as an usher, Elder and President of the congregation. An avid philatelist (stamp collector), Joe also enjoyed fishing and in his later years genealogy. He was also a member of Garfield Masonic Lodge 501. Prior to retiring, he was a supervisor with NJ Bell in Clifton for many years. Beloved husband of Mary (Smith) Kerestes. Loving and devoted father of Thomas Kerestes and wife Cynthia, Richard Kerestes and wife Alix and Kenneth Kerestes and wife Xing. Cherished grandfather of Victoria, Justin, Shawn and Eric. Adored great-grandfather of eight. Dear brother of Edith, Lois and Ruth. The family will receive relatives and friends Monday, February 11, 2019, 4-8 pm at Vander Plaat-Caggiano Funeral Home. A funeral service is planned for Tuesday, February 12, 2019, 11 am at Our Savior Lutheran Church, 22-15 Broadway, Fair Lawn, NJ 07410. Entombment will follow at George Washington Memorial Park in Paramus. In lieu of flowers, donations in memory of Joseph to the Our Savior Lutheran Church General Fund would be appreciated. On behalf of the family of Joseph and Anna Natonick (both deceased) please accept our heart felt condolences at the passing of Your husband, father, and grandfather. He was and will be remembered for his gentleness and his welcoming smile at church. God give you all strength and confort at this time.